As part of efforts to celebrate World Book Day, we were at Wema Bank, Marina on Thursday to offer our books to staff of the bank at steep discounts. Needless to say we were amazed at the warm reception we got! After creating space for us in the cafeteria(a very good spot! ), they spread the word to all and sundry about the book sales. And they came in their numbers to buy books! For us, what was most gratifying was the satisfied looks on their faces! We say a very big thank to Wema Bank management for making this possible! This is a step in the right direction; we sincerely hope other corporations would emulate this. *If you would like us to have a similar event in your office, please send an email to events@kachifo.com. We would be glad to! When one reads Purple Hibiscus for the first time, one might easily conclude that the father is cruel. But on closer examination, one (especially female readers) becomes infuriated that the woman never said anything. She bore all the maltreatment meted to her and her kids in ‘dignified silence’! Well, this is just a reflection of what happens in some African families. The man is the ‘lion’ of the family and no one dares question his judgment, not even his wife! So many women are victims of this and what complicates the situation is their silence. So what is the solution since the victims are afraid to speak? 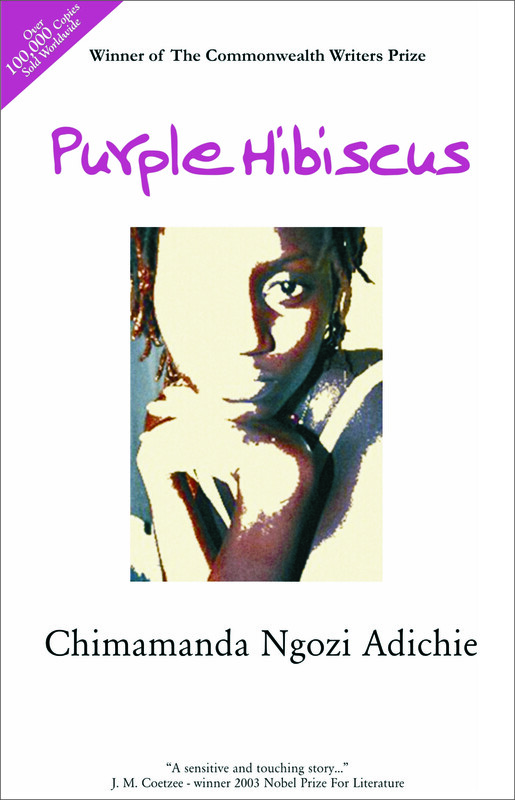 Well, below is a review of Purple Hibiscus done by a fellow blogger, Adura Ojo. Please read and let us know what you think! What would you do if your father/spouse poured boiling water on you and says love is the reason for his actions? Do you think the decision by Kambili’s mother to poison her husband was justified? We would like to hear from you! To celebrate World Book Day, Farafina was at Reagan Memorial Baptist Girls’ Secondary School on Tuesday, 19th of April, 2011 to encourage reading among the students. The event started with a brief biography of World Book Day given by Mirian. After that, the students listened as Chinedu Chidi, Debaters Season II winner, gave a short talk on the importance of reading. ‘Reading helps to improve your vocabulary’, he said. Afterwards, he read an excerpt of Purple Hibiscus. The excerpt was apt as the students could literally feel Kambili’s pain as her father poured hot water on her feet. And of course, they were very eager to make comments when it was time for the interactive session. ‘As far as I’m concerned, that’s not love, that’s child abuse’, one of them said. ‘How can my father do that to me, another said, I would just run away’. Yet another student said, ‘To me, I think the father was too hyper’; and everyone burst into laughter. It was an interesting event as the kids were eager to learn as demonstrated in the number of questions asked. They were also very honest; Chinedu asked if they would have reported to the appropriate authorities if they had been in Kambili’s shoes and they all shouted Yes!!! Of course, we got all these responses from the kids because their teachers weren’t present! Prizes were given to the best students in English and Literature in S.S 1 and S.S 2. 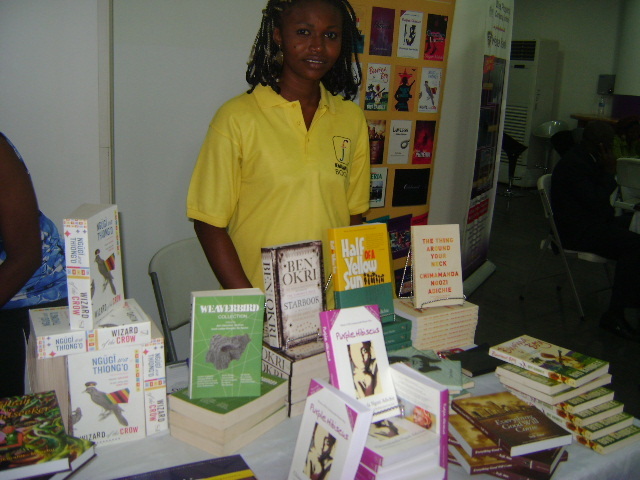 Also, Farafina donated copies of Zahrah the Windseeker, June 12 and Purple Hibiscus to the school library. Well, for us, we had a fulfilling time with those kids and we hope to do it again some other time! If you are planning a similar event and you would like Farafina to be a part of it, please send a mail to info@kachifo.com. Visual Arts Fiesta this Saturday! Come Saturday, April 23, foremost Nigerian artist, Demas Nwoko will be the artist in focus at the third annual Grillo Pavilion Visual Arts Fiesta. Nwoko, who studied Fine Arts at College of Arts, Science and Technology, Zaria, is famous for his fusion of modern techniques in architecture and stage design with African tradition. With works like The Dominican Institute, Ibadan and The Akenzua Cultural Center, Benin to his credit, Demas Nwoko is one ‘artist-architect’ who believes in celebrating the African tradition in his works. 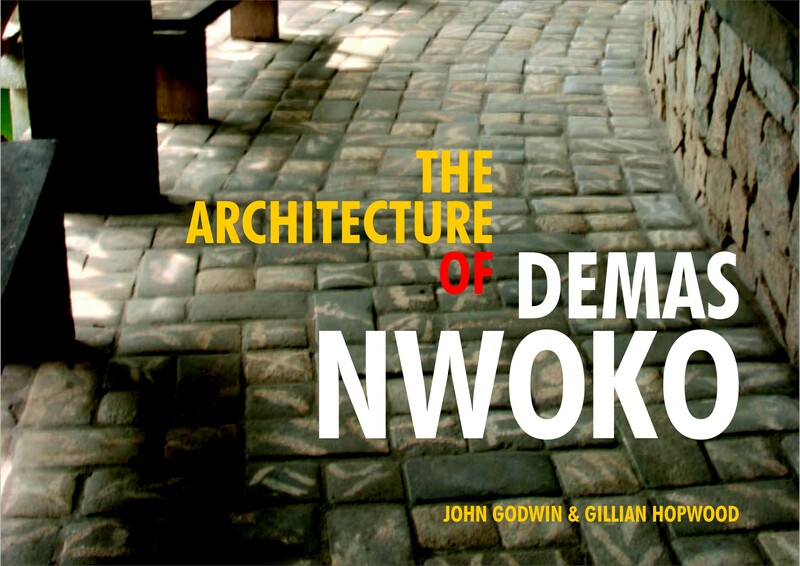 John Godwin, architect and co-author of The Architecture of Demas Nwoko will be present at the fiesta to give a lecture on the work of Demas Nwoko. The fiesta holds at Grillo Pavillion, 1 Sule Oyeshola Gbadmosi Crescent, off Obafemi Awolowo road, Oke-Ona (near Ikorodu Grammar School), Ikorodu. *Autographed copies of The Architecture of Demas Nwoko will be available for sale at the event. Review a Nigerian book and get paid for it! Sentinel Nigeria has announced a book review competition titled The Sentinel Nigeria/Jude Dibia Fiction Review Competition. 2. Read the book and write a critical review not less than 1,000 words but not more than 1,500 words. 4. Deadline for submission is 30th September, 2011. 5. Sylva Ifedigbo, Sentinel Nigeria’s Features & Reviews Editor will judge the reviews and shortlist 6 reviews. All shortlisted reviews will be published in the November 2011 issue of Sentinel Nigeria. Out of the 6 shortlisted reviews, there will be 3 small cash prizes and Certificates of Achievement issued. You may review as many novels as you wish. This competition is absolutely FREE to enter. These reviews will be judged blind. At the Sentinel international administration centre, we will replace the reviewers’ names with ID Numbers before forwarding the reviews to the judge. Sylva Ifedigbo’s decision will be final and no correspondence will be entered into. The winners will be notified and paid on the 10th of November, 2011. *This competition will be held again in 2012 for books published between June 1, 2011 and May 31st 2012. Winners of the Sentinel Literary Quarterly Short Story Competition will be announced on April 30th, 2011. The World Book Day is here again! World Book Day is a day designated by UNESCO for a worldwide celebration of books and reading, and is marked in over 100 countries around the globe. The celebration of World Book Day began over 90 years ago in Catalonia when roses and books were given as gifts to loved ones on a special day. It is celebrated on the 23rd of April each year. To celebrate this year’s World Book Day, Farafina Books would be partnering with Chinedu Chidi, winner of the 2010 Debaters competition, to hold a book reading at Reagan Memorial Baptist Girls’ Secondary School. For those who remember, we launched these book readings last year and it was a resounding success, of course with the help of Naeto C, RoofTop Mcs, Tosyn Bucknor and Toyin Akinosho. This time around, Chinedu, The Debaters Season II champ, will be reading to the students of Reagan Memorial Baptist Girls’ Secondary School. 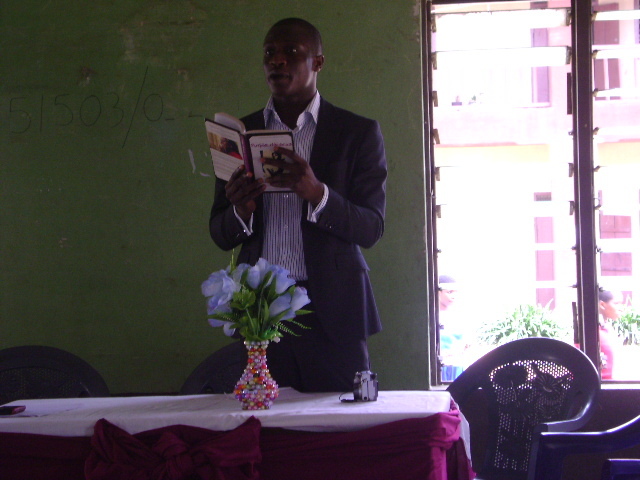 He would also sensitize them on the importance of reading as well as give complimentary books to the school library. Our hope is that this book reading would get our young ones to read, read, read!!! The book reading comes up on Tuesday, April 19, 2011 by 10a.m at Reagan Memorial Baptist Girls’ Secondary School, 23, Commercial Avenue, Sabo-Yaba, Lagos. Today, we bring you a short story by Farafina author, Eghosa Imasuen published on canopicjar.com. Titled The Cadavers, the story explores the lives of four Uniben medical students. It’s a story of passion, love, friendship and death. So, grab a cold drink and enjoy! This was something he had not gotten used to even though it had happened more than once. Ewaen knew he snored; it wasn’t that. He had to know because Sissi would not let him not know. But Sissi did not know this: that at times when waking up Ewaen could actually hear a snort or two of his sonorous breathing. And this morning as on the few other mornings – and afternoons, or evenings – when it happened, it still brought a smile to his face. This asleep-smile was something to behold, Ewaen knew. He could imagine his girlfriend looking at his face as he woke. He could see Sissi smile in response to the slight, silly upturning of the corners of his mouth. How she would think that he was waking up from a pleasant dream. How she would watch him for a few more minutes, not interrupting whatever she thought he dreamt about. He longed for when she would whisper in his ear. Wake up, Ewaen. Wake up or you’ll be late. Now that he was used to, but not to the point of being bored with it. No. He was used to it the way you got used to ice-cream, or a sweaty tumbler of Gulder. Sissi’s lips against his ear, whispering. She made his mornings smile, she did. Ewaen curled himself into a ball, his shin hitting the pillar of wood. Oh yes. Now he remembered. Sort of. He opened his eyes and received his second surprise this morning. He was on the rug. He tasted it first – granules of sand mixed with lint – because his mouth was open and he had recently begun sleeping on his face. Sissi had suggested that sleeping face-down reduced snoring. Still, he was surprised: sleeping face-down did not mean sleeping on the ground, did it? What was he doing down here? He had not yet awakened enough to have the energy to move his head so he used his eyes. They took in through half-closed eyelids the foot of his bed that rested against his knee. They scanned across to the empty snow of an absent TV station. They glanced, and looked properly a moment later, at the socks that dangled in front of his face. Brown cuddly socks with a picture of Winnie the Pooh over each big toe, socks that smelled of old wrappers and an orange rind. What were Sissi’s feet doing on his bed? Oh, that wasn’t even a good question. A better one was this: if Sissi’s feet were on his bed, why was he on the ground? Oh, yes. The Onyinye argument. Slowly other sounds joined his snoring. The banter of a morning at Aiwerioba Estate: water splashing into plastic buckets from the tap outside his window; the vroom-vroom of warmed-up cars. The noises, smells, and chatter from twenty-six kitchens travelled to him in waves, waves that drowned out the sound of his own snoring. As arguments go, this was slowly becoming pyrrhic. There would be no winner. “I didn’t call her name.” But he did, didn’t he? Ewaen spoke above the roar of the shower. He hoped the flat was now empty. It was nine already, everyone would have left for class. As the spray of cold water hit, cold water that helped to rouse him now that Sissi and her waking-tongue were on strike, he tried to play the tape back. The tape of last night. They had been in bed. She was on top. She always liked being on top. She liked to wrestle him for the position and would give a whoop of triumph when he finally let her win. They had put on the condom before starting anything, even before Ewaen had all his clothes off – she said taking the break to put on the rubber later would kill the illusion of spontaneity. He now moved in her; he watched her climb towards her climax. He watched the reflection of the TV lights on her sweating breasts, he watched those breasts heave, watched them rise and fall, faster and faster. His hands were on her hips but his mind was on Anatomy, wasn’t it? Yes, Anatomy. Tuesday. Cognition, association, and word play: that was what he used to prevent coming too soon. Think of a very bad book, last weekend’s football scores – okay ignore the fact that Arsenal won. That mightn’t work. The brain moved in mysterious ways. He had been thinking of when they would wake up if they kept this up for much longer, thinking if he’d be late for class, thinking that it would be his turn to lead dissection tomorrow, that he would need to pack his pen torch, his lab coat, thinking that Onyinye would, as usual, be in front of the cadaver first, thinking that he would have to do better than last time, if only to prevent another argument with Onyinye. And as most brain teasers and association word games go, he had come full circle: if he didn’t want to prevent another argument with Onyinye, he had to be awake early, he would have to end this quick. Sissi’s breathing was faster now, irregular, more urgent. It wouldn’t be long now. Ewaen had spoken, tried to say something. Sissi liked it when he called out her name. Ewaen turned off the shower, dried himself with the blue towel, a souvenir from daddy’s celebration of ten years as a banking entrepreneur. That was what he had called out, her name. Sissi. Onyinye? But what did it matter? *Eghosa’s Fine Boys will be published by Farafina in September 2011.